According to the recent news, some famous Islamic scientists, with accompanying of Cem Özdemir, the former leader of Green party of Germany from a Turkish origin, have established an organization called “Secular Islam”. Their main goal has been introduced as providing a modern interpretation of Islam. Looking to their initiative statement, it is mentioned that “we do not want to accept the growing power of politicized Islam which is claiming as the only interpretation of Islam but is so far from democracy. “Secular Islam”, believes that, a contemporary "German" Islam must be established independent of foreign governments and organizations. In addition, the members of this movement reject the Islamic associations of Germany due to their non-democratic structures. The founders of this group believe that Muslims must be positive to understand the concerns of the non-Muslim citizens, so that such efforts will help to establish a developed Islam fully compatible with human rights. Actually from an optimistic viewpoint, each corporative action and effort to move towards peace and tolerance is highly appreciated and such assemblies which are focused to return the stability and comfort to the critical situation of German Muslim society and the rest of German citizens is a hope for the better future. Because Germany is the host country of one of the biggest immigrant societies within Europe mostly Muslims and the country has been influenced for several times by violent actions of radical Islamists during recent years. So this movement is promising an end to these dark days of rule of Islamic radicals who have mixed the religion with violence. However, as the representative of Mr. Boroujerdi who have endeavored since forty years ago to achieve the same purpose in the Islamic society of Iran which is under the rule of political Islam. It is very important to note that this way is very difficult and definitely needs cooperation of religious and political leaders. 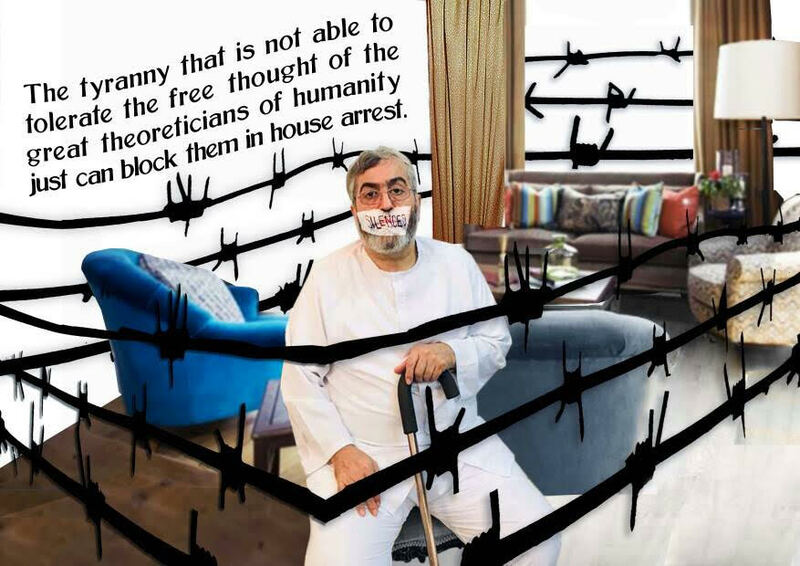 opposing the theocratic rule of religious dictators in Iran, Mr. Boroujerdi has been jailed and tortured for long years and currently is under siege in house arrest. Basically, Mr. Boroujerdi has attempted for many years to find a secular version of Islam excluding violence and compatible with human rights, freedom and democracy. However, after extensive research and studies, ultimately he has concluded that the essence of Islam is not compatible with such values. Because the basic Islamic contexts especially Quran is containing many significant contradictions and incompatibilities which are the main cause of failure in establishing peace, comfort and promotion of human values in Islamic societies. 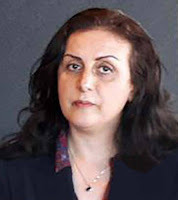 According to Boroujerdi, who is currently well known as the founder of “Monotheism without Borders”, the only way to avoid such bottlenecks is to discard the religious fanaticism and to accept that the main purpose claimed by all religions including Islam is revelation and knowledge of God. Nevertheless, the religions were not successful throughout the history to promote Monotheism. So God, our creator has been introduced as an insignificant idol whose rule is limited to our planet and his job has been described as ordering or dictating the religious tasks or punishing people even by stoning, execution and amputation and also deciding to send the people to paradise or hell! Actually, since the first days in history of this religion, Islam and the Islamic contexts including its teachings, had been imposed by force and sward to other countries resulted in promotion of violent religious culture. Therefore, Islam has high potential to publicize the violence and impose its views and ideas to others. So Boroujerdi believes that currently the separation of religion and politics is not our main demand, it means although it is necessary, but is not enough. Nowadays, first we have to analyze the religions to prove that those were never related to God, our creator. Our view towards God is so larger than what the religions have introduced. In addition, we believe that the current politics is not based on truth and rightness. We protest against religions as well as politicians. The global policy has been continuously determined to exploit the nations. We do not have a good report or pleasing record throughout the history. So we have also gone over the politics since the global policy all times has been based on annihilation of the weak people. Anywhere that you see a class-based system, there is evil politics. It is deceptive. The right politics will be when all humans on the earth (all seven billion people) become needless, enjoy of the earth resources, become equal in access to health and treatment facilities and when there will be no poor, hungry or painful people. When there are still such issues and problems, we have to blame both religious people and politicians. We reject both of them and select a third position, which is going beyond politics and religion.